2. Family and Friends: Instead of going for business loan, you can get the capital to start your business through help from families or friends. You can achieve this and get the cash you need to start the business simply by asking some of your family members or friends to helps with some money. You also need to convince them about the business and am sure, some will give you the cash you need to start your business. 3. Sales of Property: Some ideal properties such as land, home, estate or cars can be sold to raise funds to start your own business. You may not go for a business loan if you have a property which can be sold to get money. As long as the business is reliable and lucrative, it will work fine. 4. 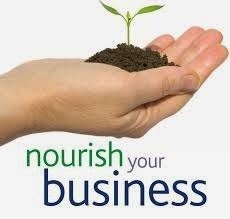 Investment: You also need to invest in other business to start a business, your investment and profits from existing investments can be used to start a new business. With this, you may not need a business loan if you have such investment that can be used to fund a business either big or small. 5. Inheritance : Getting inheritance is one of the fastest way to get money to start a business. You may not need to lavish or waste the money gotten form such or the asset, but these are things that can be used to start a new business to make money. These are ways to get money to start a business without a getting a business loan. As long as you have the business idea or you have a small scale or large scale business in mind, the following listed points above works well. Thanks for reading.